On Monday evening we're thrilled to host the launch event for Harvard professor Michael Sandel's newest book, What Money Can't Buy. 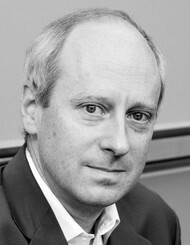 Professor Sandel, whose Harvard course on justice is arguably the university's most famous, will be speaking at First Parish Church at 7pm on Monday. Tickets and more information are available here. In other Harvard news, a big congratulations to Harvard English professor Stephen Greenblatt, whose book The Swerve: How the World Became Modern was just awarded the Pulitzer Prize for General Nonfiction. For the full list of award-winners, click here. If you're interested in hearing more about the controversy in the fiction category, I recommend these insightful pieces by Ann Patchett and the gents over at The Tournament of Books. Don't forget that Monday is World Book Night. 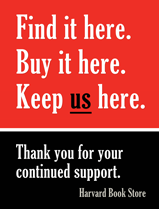 If you're one of the pre-registered givers signed up to pick books up at Harvard Book Store, just ask at the information desk any time through Monday. And keep an eye on your e-mail and on our Twitter and Facebook pages for info on how to share your World Book Night experiences. Good luck and have fun! Lastly, please note that we'll be doing our annual used book inventory on April 23, 24, and 25, and so we will not be buying used books on Tuesday, April 24 or Wednesday, April 25. We'll be back to normal hours on Thursday. To Cal, Alaska remains as mythical and mysterious as Treasure Island, and the stories his crab-fisherman father returns with are mesmerizing. 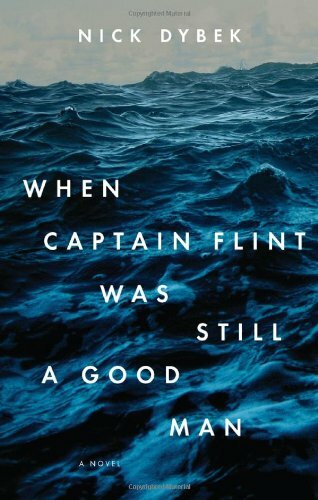 But while Cal is too young to accompany his father, he is old enough to know that everything depends on the fate of those few boats thousands of miles to the north. And old enough to wonder about his mother's relationship with John Gaunt, owner of the fleet. Then Gaunt dies suddenly, leaving the fate of the business in jeopardy. Soon Cal stumbles on evidence that his father may have taken shocking measures to salvage their way of life, and he is forced to make a terrible choice. Twenty years ago, David Milarch, a northern Michigan nurseryman with a penchant for hard living, had a vision: angels came to tell him that the earth was in trouble. Its trees were dying, and without them, human life was in jeopardy. The solution, they told him, was to clone the champion trees of the world. Without knowing if the message had any basis in science, or why he'd been chosen for this task, Milarch began his mission of cloning the world's great trees. 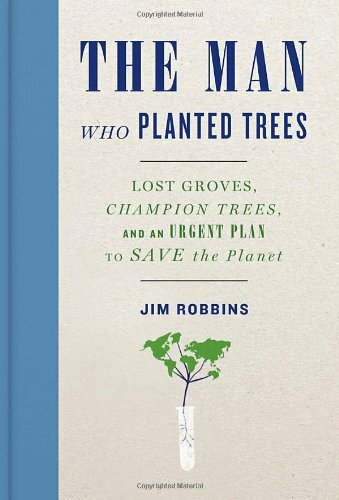 The Man Who Planted Trees is both an investigation into the world of trees and the story of one man's quest to help save the planet. Today, the term "Jewish self-hatred" often denotes a treasonous brand of Jewish self-loathing, and is frequently used as a smear, like when it is applied to politically moderate Jews who are critical of Israel. 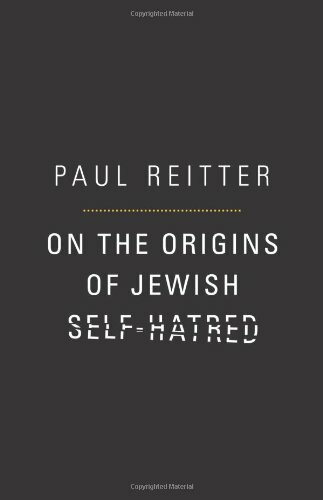 In On the Origins of Jewish Self-Hatred, Paul Reitter demonstrates that the concept of Jewish self-hatred once had decidedly positive connotations. He traces the genesis of the term to Anton Kuh, a Viennese-Jewish journalist who coined it in the aftermath of World War I, and shows how the German-Jewish philosopher Theodor Lessing came, in 1930, to write a book that popularized "Jewish self-hatred." 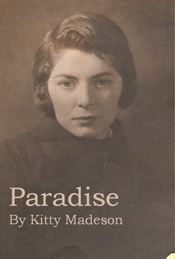 This book of short stories is written by 85 year old Jewish author Kitty Madeson. She recalls her childhood as paradise, despite the darkness of the Great Depression. With her inimitable New York style, Kitty honours the courageous characters that put their sorrows aside to brighten and enrich her life. This glimpse into Kitty's world is recaptured with tenderness, humor, and wisdom, and portrays everyday life in the Bronx, in that sepia tinged era, circa 1930. When a young journalist is killed in the fictional Mexican city of Paracuan, an investigation reveals missing links in a multiple homicide case from twenty years ago. The journalist had been writing a book about the murder of several young schoolgirls by a man known as el Chacal. Whoever killed him wanted to keep the truth about el Chacal from being revealed. For Kemal Kayankaya, a wisecracking private detective, getting work in Frankfurt, Germany isn't easy. So when a friend asks Kayankaya to protect him against thugs demanding protection money, Kayankaya takes the job. What ensues is a story about organized crime, immigration, the fallout from the Balkan wars, and the madness of nationalism. The Folio Society was founded in 1947 with the mission of creating aesthetically beautiful editions of great works of literature. This edition of Marcel Proust's sprawling masterwork is cloth bound in two shades of blue, in six elegant volumes, and contains photographs from the period. Mediterranean cooking is exceptionally popular the world over. Pizza and pasta, paella and tortillas, bouillabaisse and creme brulee are all popular favorites. This cookbook goes a step further and explores everything from Tunisian-style filled vegetables to Moroccan stuffed dates--a truly comprehensive look at Mediterranean cooking and flavors. The first in a three-volume series about George Remi, aka Herge, the author of the famous Tintin comics, presents a variety of his early artwork. The book starts with one of his earliest drawings, a scribble on the back of a postcard. This volume is chock full of illustrations and history that will be appreciated by true Tintin fans. 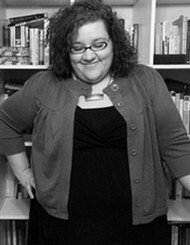 Women, Action, and the Media joins us in hosting Lesley Kinzel as she discusses Two Whole Cakes: How to Stop Dieting and Learn to Love Your Body. Harvard political philosopher Michael Sandel launches his newest work, What Money Can't Buy: The Moral Limits of Markets. Co-sponsored with the Mahindra Humanities Center, the Center for American Political Studies, and the Tobin Project. 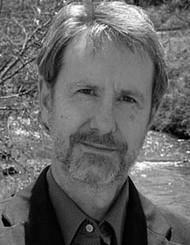 Novelist, short story writer, and poet Ron Rash reads from his newest novel, The Cove. With an introduction from novelist Jennifer Haigh. 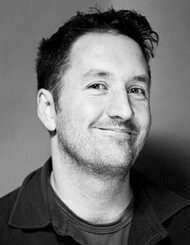 Graphic novelist and former animator Guy Delisle discusses his newest work, Jerusalem. 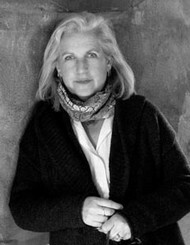 Author, activist, and conservationist Terry Tempest Williams discusses When Women Were Birds: Fifty-Four Variations on Voice. 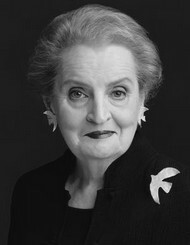 Join us at a luncheon with former secretary of state Madeleine Albright as she discusses her memoir, Prague Winter. Co-sponsored with Harvard's Institute of Politics. 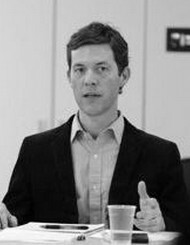 Historian Andrew W. Kahrl discusses The Land Was Ours: African American Beaches from Jim Crow to the Sunbelt South. Physicist and bestselling author Leonard Mlodinow discusses Subliminal: How the Unconscious Mind Rules Your Behavior.